I believe I have realized why the Jungle and the Dungeon always spawn on opposite sides of the map. Every active player knows that these two always spawn opposite each other. But why? Other than just code reasons or to make it easier to tell where the other is once one is found. Well, we need to see what inhabits the two areas. As we know, the Dungeon is inhabited by the undead of a number of factions, all of which seem to not be fighting each other, but those who are invading it. The Jungle is inhabited by large amounts of plant life, and animals that would be supported by such an environment. Namely, ones that would survive in a dense, humid environment. The odd thing about this is what lies much deeper in the Jungle. The Lihzahrds. A reptilian-like species which seem to worship the Sun. Not just worship it, but they seem to have mastered it and were capable of controlling events surrounding it. Why is this significant? Well, at first glance, the enemies in the Dungeon don’t really represent anything, except for what spawns in the entrance, once you have defeated the Lihzahrds. The Lunatic Cultists. You see, they’re not crazy lunatics. They’re moon-worshipping cultists. Or rather, Moon Lord-worshipping. 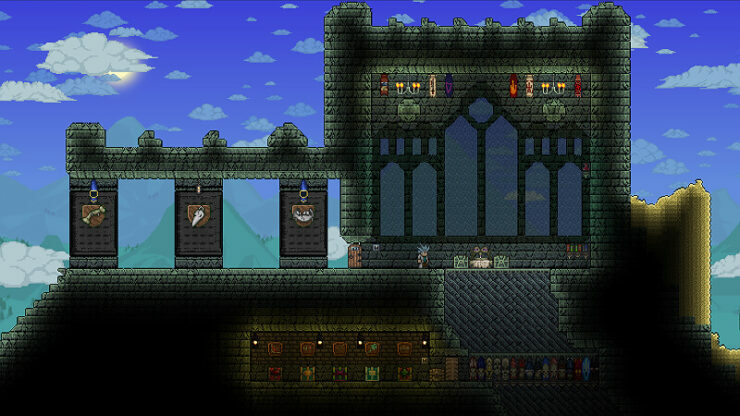 After you have infiltrated the Jungle Temple, fought your way through countless Lihzahrds, and eventually defeated their god, or what would seem to be so, those that worship the Moon Lord can finally awaken without anyone to stop them. But nothing about the Jungle. However, there is one other painting, and this one is the most important to my point. Blood Moon Rising, showcasing the Blood Moon hanging ominously overhead. Zero references to the Sun. But why? Perhaps in the end, the Lunatics turned into the victors. They buried the Lihzahrds deep underground, not to be seen again, except through pain-staking digging. However, with their dying breath, the Lihzahrds performed some ritual to sort of nearly cancel out the influence of the Lunatics, preventing their Lord from taking over, and also forcing them to go into hiding. Well, mostly. As they say, history is written by the victors. The Lunatics still technically won. The Dungeon isn’t the only place that completely lacks references of the Jungle and the Sun. It’s everywhere. There are zero paintings, which essentially are the storytelling of the world, that showcase the Sun or Jungle in any way. Other than the Painter’s, who has painted sunflowers, not the sun itself. He also has a Jungle painting, but it’s only sold while he is in the Jungle, allowing us to presume that he made it himself. Besides him, there are no hidden away references to anything related to the Lihzahrds. Not in the Underworld, not in the Underground, not even given by NPCs. So the remaining Lunatics erased any signs of the Lihzahrds and their solar influence from the world, except in their own biome. Then you come in. 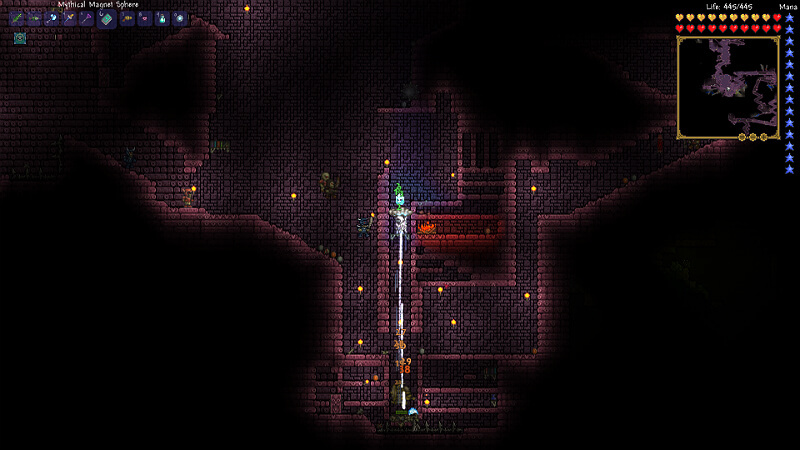 You, player, the one that is to save Terraria from the spreading Crimson/Corruption and return purity to the land. To do this, however, you must destroy the Lunatic’s lord. Of course, at first, you don’t know this. 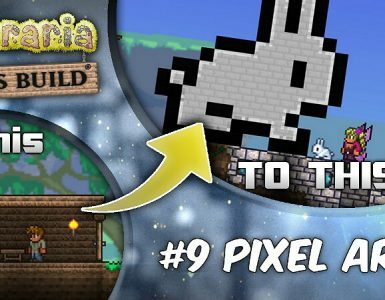 You just have a Guide to tell you to defeat these horrible monsters plaguing the land. These monsters nearly all seem to be related to the Lunatics or Cthulhu. The Eye, The Brain, The Skull. The Eater, the corruption that plagues the world. The horrible monster that takes a great sacrifice to summon. One in the Underworld. Something to note about the Underworld is that the paintings are almost all based on its landscape and inhabitants. One that stands out is Shining Moon, which seems to have no connection to the landscape or its inhabitants at all. The Moon. Nothing about the Sun. Interesting, isn’t it? Perhaps the influence of the Lunatics was much wider than we had anticipated. Now bear with me here. What if all of these monsters were just pieces in a puzzle? 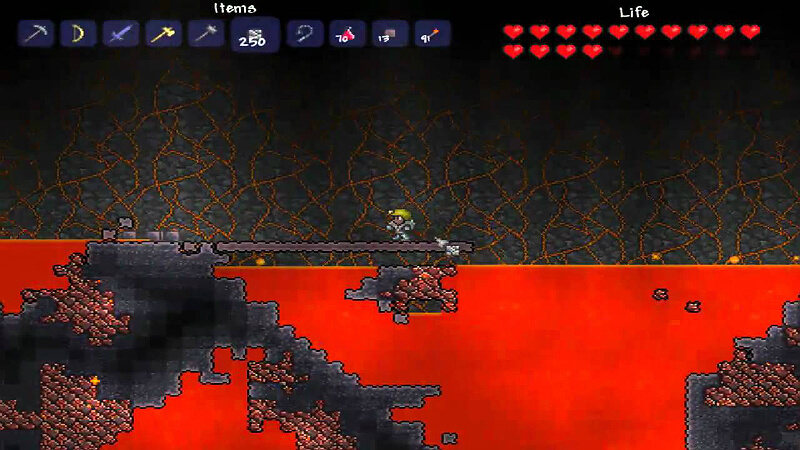 Once you defeat the final piece, the Wall of Flesh, you unleash all of the ancient powers that were in the world before. Now you have 4 new menaces to deal with: A much more powerful evil, and three mechanical menaces. Wait. Mechanical? Why are they suddenly robotic? Isn’t that odd? 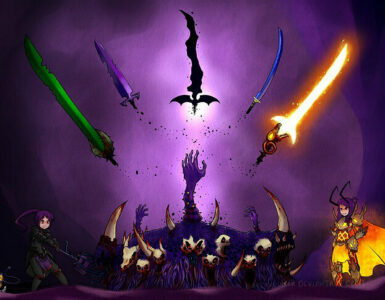 The previous enemies were but flesh and blood, so why now? Perhaps the Lunatics had realized what you were doing, and set out to stop you. Their old influences, the Eye, the Brain, the Skull, and the Eater clearly weren’t enough to stop any trying to bring them down. Another thing to note about the Dungeon, particularly post-Plantera, is that a lot of the stuff they use is quite advanced. Full on modernized guns. It wouldn’t be too far of a stretch to believe that they could have taken the essence of their old defenses, and crafted them into much more powerful defenses. The Destroyer no longer breaks into segments. It sends out probes to defend itself. Skeletron Prime gains defense when spinning, rather than losing it. Its arms are also improved, and more numerous. The Twins are now double the numbers, and equipped with more powerful and effective defenses for when they are weakened. The Lunatics are losing their influence. This isn’t good for them. The powers of the Lihzahrd tribe begin to shine again! 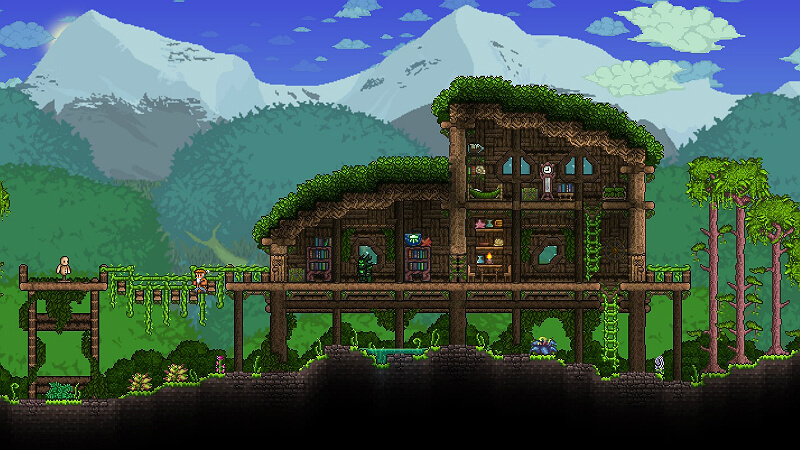 In addition, the Jungle starts to thrive, beginning to spawn Life Fruit. You continue forward, marching on, fighting the Crimson/Corruption, defeating the other two mechanical menaces. The Jungle calls to you. The Lunatic’s influence fades away. The Jungle that they have been oppressing begins to awaken. 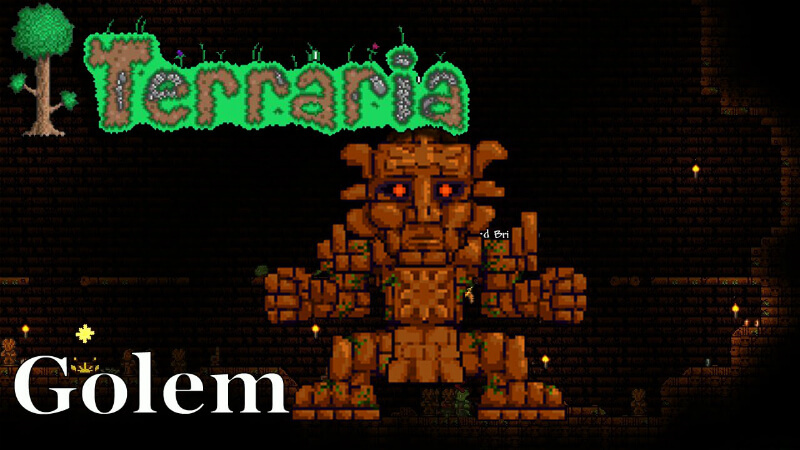 They are forced to bring upon their final defense before their old enemies: Plantera. The Key Keeper to their enemy’s prison. Under the call, you travel deep into the Jungle, surpassing depths that even the most worthy do not dare to travel. You find an odd bulb, that pulses with life. You look at it, suddenly it was a trap! 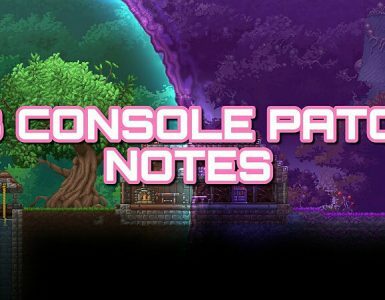 Plantera’s might has been cast down upon you! In a tense battle, you strike it down. Upon the loot that it drops, there is a key. To the prison of the Lihzahrds. You dig deeper into the Jungle, eventually stumbling into a new type of brick that you cannot seem to break. You dig around it, eventually finding an entrance. With the key, you unlock the door. You have freed the Lihzahrds. However, you encroach further into their temple, riddled with player-activated traps. As you kill more and more of them, they drop these old stones, that appear to be related to the Sun. Eventually, you reach the end of the temple. A wide-open room, and at the end of it is an altar, with a bright light shining above it. Reluctantly, you use these cells dropped by the Lihzahrds by the altar. Suddenly from above, a giant figure drops in. You have summoned the Lihzahrd’s lord, the Golem! Once again, in a tense battle, you strike down the body of the Golem in a final powerful strike! The place feels… emptier. You got all this great loot, but oddly, you don’t feel quite accomplished. You pack your bags and begin to ascend home. You still don’t feel quite right. On a hunch, you head to the Dungeon. You arrive, only to see four hooded figures clad in gold-trimmed blue robes seemingly performing a ritual around this odd sigil. You confront them, only for them to attack you, and the remaining two hurry their ritual. You slay them all, believing to be victorious. Then you turn around only to see another one rise into the air, seemingly absorbing the power of the sigil. It begins to laugh at you, before warping into the air and attacking you. You defeat this, then the full power of the moon strikes down upon the world! Now, why did I basically summarize the entire game? Well, the point is, as the game progresses, you weaken the influence of the Lunatics, allowing the Lihzahrds to shine again, ever briefly. Then, without realizing what you’re doing, you strike down the Golem, the being that was canceling out the Lunatic’s Lord. Seeing their opening, they go to summon him, and you get there just in time. 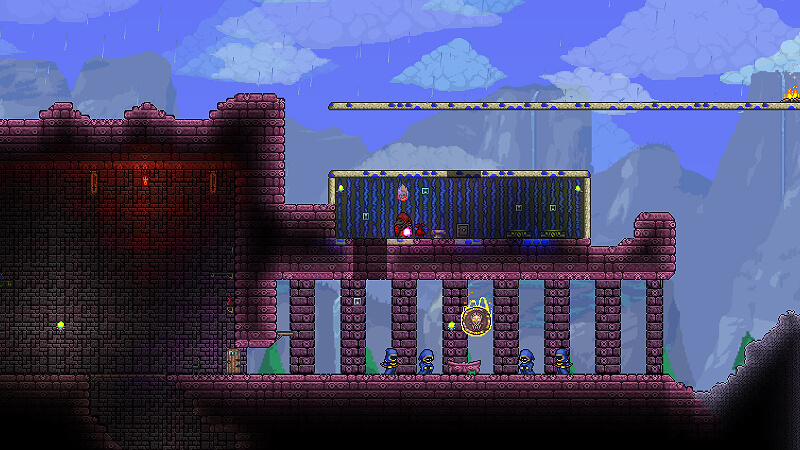 So is Terraria just a story about the conflicts between the Lunatics and the Lihzahrds? Well, probably not. This is just my perspective on it, and don’t take it as 100% fact.